The NBCC Foundation has awarded Courtney Koch of Ravenwood, Missouri, a 2014 rural scholarship. The NBCC Foundation, an affiliate of the National Board for Certified Counselors, Inc. (NBCC), recently awarded a 2014 NBCC Foundation rural scholarship to Courtney Koch of Ravenwood, Missouri. The rural scholarship is awarded to counseling students who commit to practicing in rural areas upon graduation. The mission of the NBCC Foundation is to leverage the power of counseling by strategically focusing resources for positive change. The Foundation created the rural scholarship in 2009 to improve access to counseling services in rural communities, which suffer disproportionately from a lack of mental health care. Nearly 70 students from across the country applied for the five 2014 rural scholarships, and the NBCC Foundation Board of Trustees awarded an additional scholarship due to the high caliber of this year’s applicants. As one of six 2014 rural scholarship recipients, Ms. Koch will receive $5,000 to support her counseling education and recognize her commitment to the underserved. 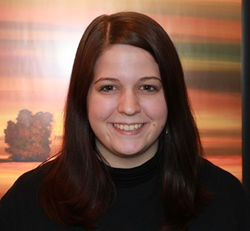 Ms. Koch is a graduate of Northwest Missouri State University and is currently pursuing a master’s degree in professional counseling with an emphasis in mental health from MidAmerica Nazarene University. She currently serves as a counseling intern for her alma mater’s Personal Development and Counseling Services and at Comprehensive Counseling Solutions, in St. Joseph, Missouri. Having grown up in suburban northern California, she has developed a passion for helping the underserved since moving to rural Missouri. Ms. Koch has plans to serve her rural Missouri community upon graduation, to become a registered play therapist and to help those of all ages affected by trauma. The NBCC Foundation has also awarded six $5,000 military scholarships to increase the number of counselors available to serve military service members, veterans and their families, as well as six $5,000 minority scholarships designed to help ensure that the behavioral health needs of all Americans are met, regardless of language or culture.